8th September – 6 October 2018, Preview Fri 7th September. 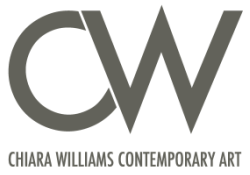 A solo exhibition of new work by Chiara Williams, curated by Lucy Howarth at Liddicoat & Goldhill Project Space. This exhibition coincides with Margate Festival 2018, curated by Sacha Craddock, and responds to the festival theme: NOW. a pop-up tea salon and exhibition of works on paper by local artists 8 – 16 July 2017, as part of Margate Festival.